Did you know that we as a church give $1500 every month to local and world missions? Your faithful and consistent giving allows us to support missionaries around the globe. We give $100 a month each to 15 missionary families. Our missionaries are located all over the world, from Ecuador, to Scotland, to the Philippines, to right here in Washington state. We support several missionaries who serve in restricted or hostile nations, where it is dangerous or even illegal to gather with other Christians, talk about the Christian faith, or even own a Bible. While our financial support is of great value and very much appreciated, what missionaries request most is prayer for their families and ministries. There are no limits to what the power of God can do through prayer! Jesus’ last words to His followers on earth were to spread the Gospel throughout the whole world. While we’re not all called to be overseas missionaries, we are all called to live missionally, and we are all able to support the efforts of those who are bringing the Good News to the ends of the earth! If you don’t already, I encourage you to pray for our missionaries and to prayerfully consider giving to missions at Solid Rock. 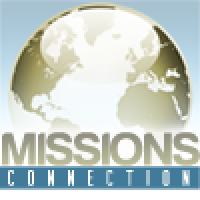 If you would like more information about giving to missions or the missionaries we support, please reply to this email. In the coming months, I will be profiling some of the individual missionaries we support and highlighting the diverse and creative ways they are sharing the Gospel. I’ll also be sharing information about some mission trips we’ll have in the works for you to take part in. Also, be sure to keep an eye out for the Missions Table, coming soon to the foyer on Sunday mornings! I pray that the word of Christ would dwell in you richly, and your life on earth would have the greatest possible impact on eternity.